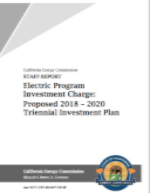 The California Energy Commission (CEC) adopted its proposed 2018-2020 investment plan for the Electric Program Investment Charge (EPIC) program. The proposed plan makes over $120 million available on an annual basis to support projects that accelerate the use of refrigerants with low or zero global warming potential (GWP). Read more. Read our Q&A with Steve Barbier of Key Mechanical and his experience working with Whole Foods Market on the installation of the Propane and CO2 Cascade system at their Santa Clara facility. Read more. Missed the NASRC Natural Refrigerant Workshop hosted by the Sacramento Municipal Utility District (SMUD)? Get the key takeaways here. The CO2 Mobile Training Unit will be hosted by Source Refrigeration in Anaheim, June 19-29th, and by DC Engineering in Boise, July 11-19th. Register here. May 16: Emerson E360 Webinar - Opportunities for Natural Refrigerants in Small-Format Applications. June 5: Emerson @ ATMOsphere America - Strategies for Expanding Transcritical CO2 Booster Adoption. Interested in Natural Refrigerants? Come to ATMOsphere America!